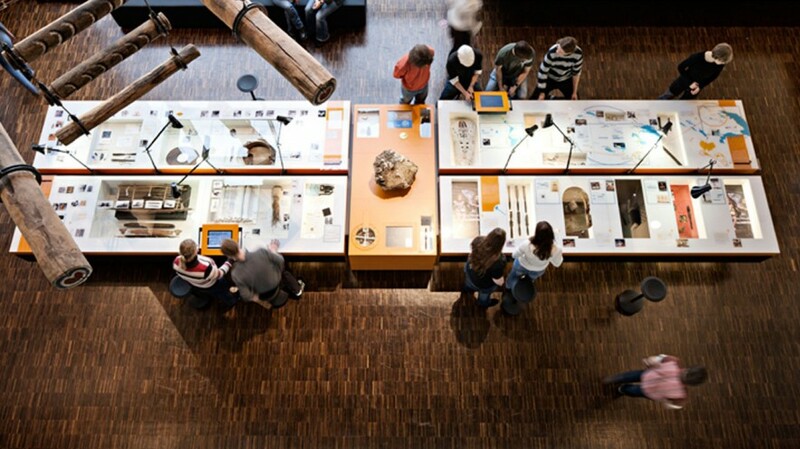 The exhibition “Humans in their Domain” at the Rautenstrauch-Joest-Museum in Cologne takes the visitor to an astounding and educational journey. 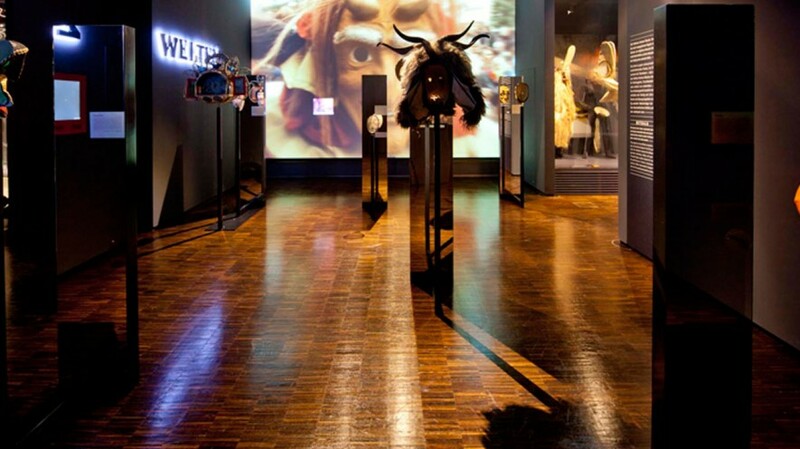 Comparing different cultures, the innovative exhibition is spread out across 3600 square metres of exhibition space on three levels. 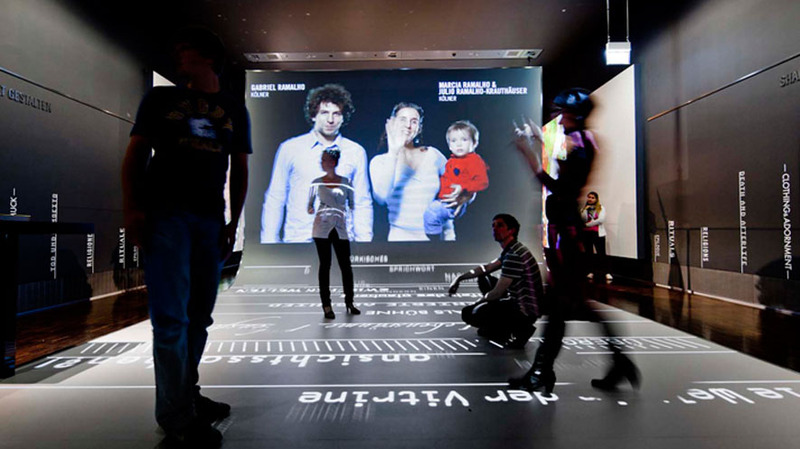 A multitude of media installations provide information in a neoteric way without dominating the overall production. 235 MEDIA developed and implemented all media stations and built the entire media technology and navigation at the exhibition. A total of 30 projectors, more than 40 monitors and 14 audio stations have been installed. 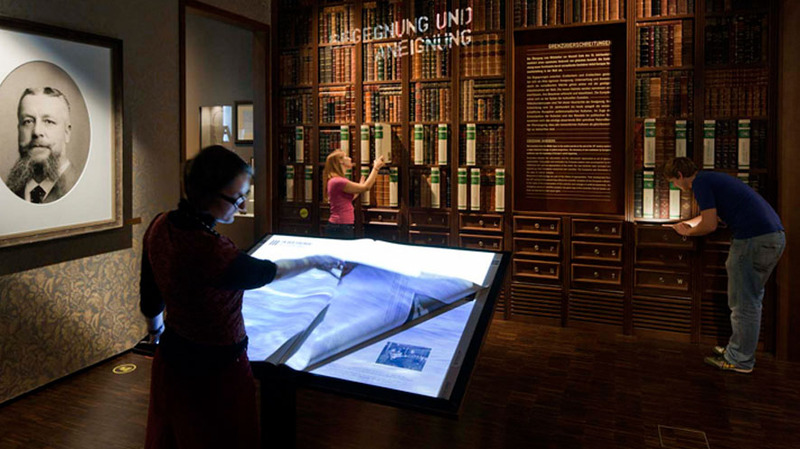 Our “Electronic Book” in the “Meet the World” segment and the interactive table in the “Humans in Society – European Saloon” segment are regarded as the technical highlights of the exhibition.